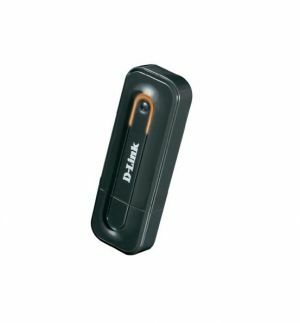 Connect to a high-speed wireless network with the D-Link Wireless N 150 USB Adapter and enjoy surfing the web, checking e-mail, and chatting with family and friends online. The DWA-123 uses Wireless N 150 technology, which offers increased speed and range over the 802.11g/b standard1 giving you a faster, more reliable wireless connection. To protect your data and maintain your privacy, the Wireless N 150 USB Adapter supports WEP, WPA, and WPA2 encryption for connecting to a secure wireless network. D-Link's Quick Setup Wizard provides easy setup of your USB adapter so you can get connected quickly. Wi-Fi Protected Setup (WPS) sets up a secure wireless connection with the push of a button. WPS eliminates the need for complicated configuration, thus simplifying setup and saving time.